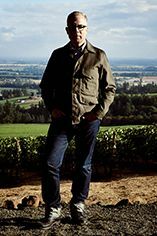 Burgundian soul meets American soil at Domaine Drouhin, the leading Oregon Pinot Noir producer run by Véronique Drouhin. 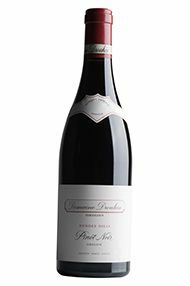 At the very heart of Domaine Drouhin's Oregon 225-acre estate are the 85 acres of hillside vineyards in Oregon's Red Hills, which produce two acclaimed Pinot Noirs cuveés and a very limited amount of Chardonnay. These vineyards share a nearly identical climate, latitude and aspect with their counterparts in France. The first vines were planted in 1988, and now Domain Drouhin has 72 acres of Pinot Noir and 13 acres of Chardonnay. The Pinot Noir and Chardonnay plantings are a mixture of assorted Dijon clones grafted onto a variety of rootstocks. Each vine produces approximately 3/4 of a bottle of wine! The best Pinot Noir barrels are saved for the Cuvée Laurène, a wine which will grow in depth and complexity with up to 10 year's cellaring. 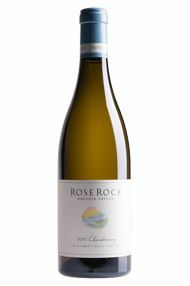 More recently the Drouhins have produced a limited amount of tasty-rather-than toasty Chardonnay; again to significant critical acclaim.